The Human Rights Investigation report on Sri Lanka compiled by the Office of the United Nations High Commissioner for Human Rights released last month has revealed much information about the alleged activities of the Sri Lankan armed forces, the Liberation Tigers of Tamil Eelam (LTTE) and state affiliated para – military outfits such as the Eelam Peoples Democratic Party (EPDP) and Tamil Makkal Viduthalaip Puligal (TMVP) during the final phase of South Asia’s longest war. While overseas members of the LTTE demonstrate in Geneva with tiger flags and portraits of LTTE supremo Veluppillai Prabhakaran , those who read the UN report are appalled and horrified by the acts of cruelty perpetrated by the LTTE on its own people. Among the many aspects focused upon by the UN investigation report on Sri Lanka – abbreviated as OISL report – is the tragic phenomenon of forcible recruitment of Tamil civilians by the LTTE. This is a topic on which this writer has written many articles in the past.This article will therefore re-visit some of those earlier writings and focus on this tragic phenomenon. In earlier times the LTTE had not engaged in the exercise of forcible recruitment or conscription. It was in fact organizations such as the Eelam Peoples Revolutionary Liberation Front(EPRLF) and Eelam National Democratic Liberation Front(ENDLF) who pioneered forcible recruitment during the days of the Indian army deployment in the Northern and Eastern provinces of Sri Lanka.The LTTE campaign of forced recruitment on a massive scale began in June 2006 and accelerated from October onwards. One of the factors contributing to this was the split caused in the LTTE by the revolt of its former eastern regional commander. The LTTE breakaway faction led by former tiger eastern region commander Vinayagamoorthy Muraleetharan alias “Col” Karuna was actively engaged in child conscription and forced recruitment in the East after his defection. Security forces were allegedly complicit in this campaign undertaken by the Karuna faction known as the Tamil Makkal Viduthalai Puligal (TMVP). The Eastern Province thus became the focus of attention in the sphere of abductions, conscription and forced recruitment in those days. Apart from the TMVP involvement and complicity by the security forces the “mainstream” LTTE was also engaged in abductions and conscriptions. The Eastern province saw much activity in this regard after the split in the LTTE in 2004. Thousands of cadres who dropped out or escaped from the LTTE after the split were targetted again by both parties. Also both the LTTE and TMVP began abducting and forcibly recruiting new persons into their respective organizations. Some instances were reported in the media. While the focus was on the volatile east, the actions of the LTTE in the north did not receive the same glare of publicity. Lack of access to the LTTE dominated regions in the Northern mainland was the chief contributory factor to this state of affairs then. The unwillingness of many Tamil people to publicly articulate their grievances against the LTTE was another reason for the situation. The Tamil community grapevine was humming with tales of tiger abductions but few Tamils were willing to come forward and say so openly. The main reason was fear of repercussions at the hands of the LTTE and its minions. Another reason was the feeling that the Tamil cause would be weakened if accusations were levelled against the LTTE. Family members of those conscripted were also afraid to speak out because the lives of those abducted may have been in jeopardy. Families were explicitly warned of such consequences if details of abductions leaked out. Besides many families concerned were also residing in LTTE controlled areas and themselves were in danger.The prevailing totalitarian control of society by the LTTE prevented people speaking out except for communicating their distress to trusted persons. All these reasons helped the LTTE to get away with continuous abductions and forced recruitment in those years. The scale and intensity of forced recruitment increased in 2006 as the fighting escalated. It was always the LTTE position that the movement faced a shortage of personnel because enough people were not volunteering. If enough numbers were forthcoming the elusive goal of Tamil Eelam would be a reality they used to say then.There was also much talk of a massive counter – strike against the armed forces by the LTTE. Additional cadres were necessary for this it was argued by the LTTE then. While the military priorities and objectives were given pride of place the human dimension was once again lost sight of by the LTTE . The sad irony was that the war was being supposedly fought for the liberation and upliftment of the Tamil people! What was happening however was that of the position of the Tamil civilians worsening day by day. The LTTE may have wanted more and more people to join up and fight but the ordinary Tamils were in no mood to oblige. They simply wanted to be left alone to pick up the pieces of their fractured lives and get on with living. This war was not their war any more. The tigers may have celebrated death but the ordinary Tamil people wanted life no matter how miserable it may have been under prevailing conditions.They did not want their children to die as cannon fodder in what was clearly an unwinnable war.. Which parent would want that? The LTTE had earlier started the process of civilian arms training. All able bodied persons from 16 to 45 were required to undergo some physical training and learn techniques of self – defence. Those willing to go the extra – mile were given more intensive training and forged into an auxiliary outfit known as “Ellai Padai” or border force. They functioned mainly as helpers to the LTTE cadres in border areas. Another category of persons was selected out of the original batches of trainees and given further training. They were supposedly reservists and called “Makkal Padai” or peoples force.These people were allowed to get on with normal civilian life but were required to show up whenever necessary or required. Most members of these civilian militias were not willing to fight or die. But they had no choice and were reluctantly compelled to go along with tiger diktat. These enlistment practices were overshadowed by a new direct campaign of forced recruitment that began in 2006. The intensification and acceleration of the LTTE campaign to forcibly recruit Tamil civilians directly into their ranks caused much resentment amid the Tamil people then. However they had no way to resist or protest. Some went into hiding. Others found ways to leave or escape from those areas. Those detected of trying to escape were punished. The LTTE also infiltrated the Govt controlled areas of Mannar , Vavuniya and even Jaffna districts and abducted people. However the full force of tiger conscriptions was faced by the people of Kilinochchi and Mullaitheevu districts. The LTTE which was running a parallel administration then set up its monitoring apparatus in the areas it controlled. There were two or more LTTE operatives functioning as “grama sevakhas” in each village. They were in possession of all family details in every household in their areas of authority. LTTE operatives armed with such particulars visited each home and “press ganged” the reluctant young men and women into joining them. If unsuccessful at day – time the tigers returned at night. Nocturnal raids were a regular feature. All students in the Advanced level classes were compelled to undergo training in self – defence and first – aid. The training period was between two to four weeks.The bright ones were identified and brainwashed or forcibly recruited as permanent cadres. Initially the families of fallen tigers or “great heroes” and serving LTTE members were exempted. Later they too were targeted.Many of the parents stopped sending children to schools. Young people seldom moved around publicly. If they were seen the chances of being “taken” away were very high. Some parents avoided going out to work and stayed home under the impression that they could prevent their children being taken. An incident in Kilinochchi illustrates the pathetic predicament of ordinary people then. A family of five in Aanandapuram in Kilinochchi was killed in bombing by the Air Force. Two of those killed were boys aged 18 and 20 respectively. The boys were kept at home to avoid being conscripted by the LTTE at school. Tragically “Yaman” came for them at home via an Israeli K- fir. Students of that particular school were afraid to attend classes because the principal of that institution was allegedly helping the LTTE to identify and abduct students. The “principal” who was a close relative of a top tiger commander is today holding high political office as an elected representative of the people. One way of avoiding conscription was to resort to matrimony since married persons were not forcibly recruited when the conscription campaign commenced. So many people in tiger controlled areas began marrying early. With the recruitment drive being launched in June 2006 the rate of marriages shot up among young people. The LTTE then declared that all marriages after August 2006 were null and void. Regardless of marital status the new grooms and brides were conscripted. The LTTE also went to the extent of declaring a moratorium on marriages till a particular age was reached. Males could not marry till they were 40 and females till 35 was the new commandment. This was only a temporary measure assured the LTTE then. An incident of suicide that occurred then was pathetic. On January 22nd 2007 a school master from Uruthirapuram married an employee at the Mallavi hospital. Both were in their mid – twenties. Two days later on the 24th, LTTE operatives came to the newly married couple and insisted that the groom give up “marital bliss” and join up with them. The “wedding” was not valid they pointed out because the “legal” marriage ages were 40 and 35. The distressed couple pleaded with the tigers and obtained a few days “grace” to complete wedding rituals .The tigers agreed and went away. The groom and bride “escaped” and hid themselves elsewhere. The tigers returned and were infuriated at this defiance. They abducted the groom’s sister and the bride’s brother and took them away. The groom was asked to present himself within a week. Otherwise the siblings would not return , warned the LTTE.The groom was extremely agitated and worried. After pondering the situation for days in a frustrated and confused mental state the man committed suicide by hanging on February 5th 2007. He died exactly two weeks after his marriage. This woeful tale was talked about widely in the LTTE areas and elsewhere .Many people were highly critical of the LTTE for this act which encapsuled the predicament faced by ordinary Tamils under the jackboots of the LTTE.In a bid to counter this resentment the LTTE put a counter spin by spreading the rumour that the man was diagnosed with terminal cancer and therefore had taken his own life. The LTTE also banned the movement of people to Govt controlled areas. People were allowed out only for specific reasons on a very strict basis. In most instances someone living in the Wanni had to stand surety. If the person who exited did not return on time the person who stood surety would be detained and punished. The LTTE was very strict in disallowing people between 12 and 17 from leaving the Wanni in those days. The people particularly the mothers resisted as much as they could. But most efforts were futile. Some of the stories related about those dark days are pathetic. One mother fell on the ground in front of a tiger vehicle in a desperate attempt to block it from driving away with her son. The LTTE driver callously drove over the woman’s leg crushing the bone.In another incident the frantic mother tried to cling on to her son but was pushed away roughly. She fell down and hit her forehead on a stone. Seeing the wife bleed the elderly husband/ father got angry and slapped the tiger cadre. The tigers were enraged.”Engalukku Kai Neetta thuninjitiyo?” (Are you brave enough to raise your hand against us?) they shouted. Thereafter the old man was given a merciless thrashing and was hospitalised. In one case the 21 year old brother was given permission to go to Colombo to welcome an uncle who was visiting from abroad. His family guaranteed his return in three months. While he was in Colombo the LTTE recruitment drive escalated. Family members urged the son not to return but stay in Colombo and try to go abroad. When the LTTE went to the house the family said that the young man was sick and needed medical treatment in Colombo. The tigers took away the 16 year old sister and said she would be released if proof of the brothers medical condition was supplied. The brother got himself admitted to a private hospital and after some “doctoring” with some sympathetic help by those concerned sent the the necessary “paperwork” to convince the LTTE of his medical condition. The LTTE rejected the documents and wanted the family to give them medical records from a Govt hospital!. The sister was under tiger custody for many months and finally co- opted into LTTE ranks.She was killed in the fighting. The LTTE slogan for recruitment was “Veetukku Oru Veeran Allathu Veeranganai” ( One hero or heroine from each house). The tigers began strictly enforcing this . All households were forced to send one member. If those eligible escaped or avoided being recruited another was taken away as “hostage”. Those protesting or objecting were assaulted severely. Some were detained for indefinite periods. Some of the persons taken by the tigers managed to escape and went into hiding. The LTTE sent letters to the families saying the “escapees” must surrender themselves before a particular date. Otherwise family members would have to face consequences the tigers warned.In another incident on Feb 9th 2007 in Vattakachchi an elder sister was taken in place of a younger sister who went into hiding. The protesting parents were kicked and pushed aside. 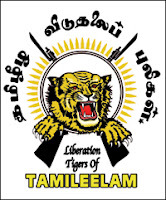 An LTTE member had absconded from the tigers after being sent to Vavuniya to do political work after the ceasefire. He came to Colombo and then went abroad. This was in 2003. After making inquiries from the family the LTTE did not do anything. But in 2006 the LTTE came to the house and wanted the “escapee” to return to the LTTE again. When told that he was now abroad the tigers took away his younger sister aged 15. The family was told that the girl would be sent home if the brother returned to the Country and the movement. Some people sent their children or even moved out of the LTTE controlled areas through circuitous jungle routes. There was much hardship and danger but people risked it rather than see children being conscripted. The LTTE’s elite “leopard” commano unit also prowled these jungle routes keeping up vigil. While some people managed to escape many were caught and punished.One family had twin sons in their twenties. The LTTE wanted one to join up. The family tried to escape through a jungle route and was caught. As punishment both sons were taken away. One particularly sad incident was about a young girl in Puthukudiyiruppu. She was the only daughter in the family and very clever in studies. Her elder brothers had either died as LTTE “Maaveerar” or gone abroad. The family was however worried because the girl did not attain “age” for many years. Finally she became a “periya pillai ” (loku Lamaiya) at the age of 18. The parents were so happy that they had a comparatively grand celebration on the “day of pouring water”. (thanni vaarkum naal). Two days later the tigers came and took her away leaving the parents devastated. Some families from Allaipiddy and Mankumban had relocated to the Wanni after the spate of killings by the Navy and EPDP in May 2006. They felt the LTTE controlled Wanni was safer than their own villages. In 2007 some youngsters from these displaced families went missing. Family members rushed to the LTTE “Kaavalthurai” (Police) run by Nadesan. The Eelam “cops” promised to inquire into the matter. It was only some days later that enlightenment dawned on the families that the “fences had devoured the crops.”Among those taken away by the LTTE were some girl students staying with Catholic sisters at a nunnery and attending a convent. The tigers took those over 17 years of age forcibly. Church leaders appealed to the LTTE hierarchy but did not publicise the incident for obvious reasons. The LTTE also abducted young persons in the Govt controlled areas of Mannar, Vavuniya and even Jaffna. Age or marital status was not a bar when it came to abducting those in Govt controlled areas. They were taken to LTTE controlled areas clandestinely and forcibly inducted as tiger cadres. It was alleged then that most incidents of youths abducted in Jaffna during daytime and then going missing were perpetrated by the LTTE. As the conflict intensified the use of mobile phones by members of the public was banned by the LTTE in the Wanni. Anyone found using one was penalised.All foreign calls could be taken only from LTTE run communication centres. The numbers had to be registered in the mornings. The calls limited to 5 minutes per call were allowed in the evenings. The time in between is used by the LTTE to verify details about those being called. There were however many who managed to come out of the Wanni in that period. This was mainly due to nepotism and/or corruption. High ranking tiger leaders who had sent their own children abroad for higher studies were known to have intervened in some instances and ensured the “sending away” of close relatives. In other cases massive donations were paid “officially” to the LTTE and “unofficially” to tiger officials for people to get away. The sad irony was that some of these escapees were treated as LTTE suspects when they came to the Govt controlled areas. This then was the grim, gloomy scenario that unfolded in the LTTE dominated north during the days of war. The so called liberators of the Tamil people were intensely recruiting people forcibly to be conscripted into tiger ranks. The rationale being manpower requirement was necessary to continue the “Por” (war). All oppression was justified as being necessitated by the Tamil cause. Ordinary Tamil civilians however wanted no part of this war being fought in their name. They only wanted to be left alone so that they could get along with their life. Sadly that was being denied to them. That was the Tamil tragedy! After some more years of terrible suffering the war was finally over in May 2009.